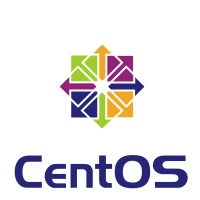 CentOS on cloud is a Linux distribution that attempts to provide a free, enterprise-class, community-supported computing platform functionally compatible with its upstream source, Red Hat Enterprise Linux (RHEL). In January 2014, CentOS on cloud announced the official joining with Red Hat while staying independent from RHEL, under a new CentOS governing board. Cognosys provides hardened images of CentOS 7 on all public cloud ( AWS marketplace, Azure and Google Cloud Platform). Deploy CentOS 7 securely on cloud i.e. AWS marketplace and Azure with Reliable Services offered by Cognosys at one-click with easy written and video tutorials. New variable for disabling colored output for systemd : This update introduces the SYSTEMD_COLORS environment variable for systemd, which enables turning on or off systemd color output. SYSTEMD_COLORS should be set to a valid boolean value. New systemd option: RandomizedDelaySec : This update introduces the RandomizedDelaySec option for systemd timers, which schedules an event to occur later by a random number of seconds. Server performance has improved in many areas : Some operations in Identity Management run much faster now. For example, this enhancement enables better scalability in large deployments exceeding 50,000 users and hosts. Enhanced IdM topology management : Information about the Identity Management (IdM) topology is now maintained at a central location in the shared tree. As a result, you can now manage the topology from any IdM server using the command line or the web UI. Simplified replica installation : Installing a replica no longer requires you to log in to the initial server, use the Directory Manager (DM) credentials and copy the replica information file from the initial server to the replica.